SKU: AN003. Category: Animal Patches. Tags: punk, hippie. OWL HEART BLACK 13 LUCKY NUMBER PUNK HIPPIE EMBROIDERY IRON ON PATCHES 50 pcs. 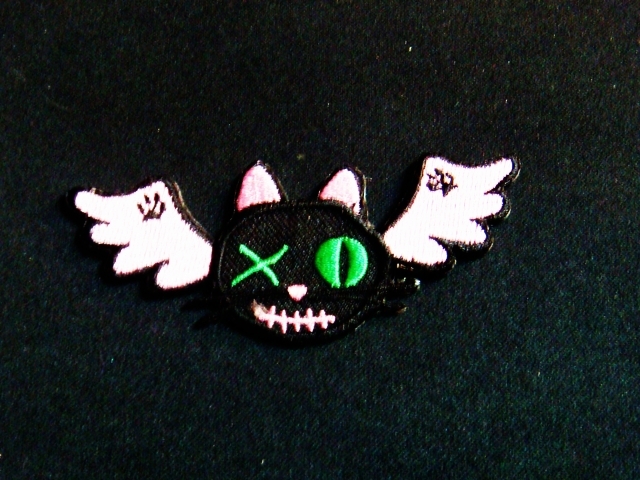 PINK BIG FAT CAT PUNK ARTIST EMBROIDERY IRON ON PATCHES 50 pcs.